When the stats are laid out, it is quite clear that prescription drug abuse is an epidemic in the U.S. It is estimated that 52 million Americans are using prescription medications for nonmedical purposes at least one point in their lifetime. Deaths caused by overdoses from prescription painkillers have quadrupled since 1999 and cause more than 475,000 emergency room visits every year. According to the Substance Abuse and Mental Health Services Administration, 6.5 million people above the age of 11 were using prescription drugs for nonmedical reasons in 2013. That’s more than cocaine, hallucinogens, and heroin combined. So what’s causing this massive increase in prescription drug abuse? Much of it has to do with doctors overprescribing patients, even for short-term use. 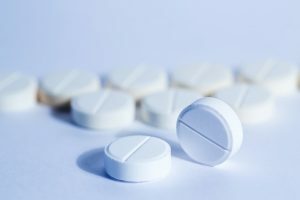 Based on a study conducted in 2009 by the Journal of the American Medical Association, nearly 20% of prescriptions for hydrocodone- and oxycodone-containing products were issued for treatment courses lasting less than two weeks. Sixty-five percent were issued for two to three week long treatment courses. Additionally, the FDA reports that states with more opioid reliever sales have an increased tendency of drug overdose deaths. Like heroin, opioid analgesics affect the same receptors in the brain responsible for reward, pleasure and satisfaction. This allows abusers to go back and forth between heroin and synthetic prescription painkillers to achieve an extreme rush of happiness and euphoria. Since these drugs provide an unnatural level of dopamine and endorphins, the only way users can experience it again is to keep using that drug. After enough use, the brain will stop creating dopamine and endorphins naturally, forcing patients to use opioids exclusively for any sense of pleasure or happiness. This makes it very easy to develop an addiction, even after short-term use. Luckily, dentists are now changing their guidelines for prescribing these highly addictive prescriptions. In their reviews, they are determining that a better way to address pain during aftercare is through non-steroidal anti-inflammatory drugs (NSAIDs.) Over-the-counter (OTC) medications like Advil, Aleve, and Motrin are not only effective, but even more so compared to opioids when used properly. According to your dentist, OTCs get a bad reputation for not being as effective because they do not require a prescription. However, the public opinion that they will not work for aftercare is not true. In a world where prescription abuse is growing, especially among adolescents, it could not be more important to help patients realize that they do not need opioids to manage pain after dental treatments. To learn more on how your dentist provides pain management, schedule an appointment today! Dr. Benjamin Hornstein has experience in many forms of dentistry, including full mouth reconstructions, placing dental implants, and other advanced forms of restorative and surgical dentistry. He takes the epidemic of prescription drug abuse very seriously and works hard to give patients alternatives to opioids for aftercare pain management. To learn more about his practice, contact him through his website.